There are THREE immediate things that you need to know about MAGGIE (2015). First, this film is NOT about Zombies. NOT. AT. ALL! Second, this is undoubtedly Arnold Schwarzenegger’s (who executive produced this film, FYI) FINEST PERFORMANCE OF HIS CAREER. And third, it’s a film you’re going to need to see at least TWICE (and YES, I’m doing my second screening literally right now as I’m typing this intro) in theatres, to get the full scope of what it is that you’re watching. You’ll also learn WHY is extremely thought-provoking, mentally draining while be enlightening and uplifting, and why we need more films such as this one. Let’s handle this, shall we? This film is NOT a zombie flick. It’s NOT an action film (it does have action but NOT much). Some really key stars in this film that must be immediately paid homage to? Well, the unassuming yet perfectly chosen scenery, the “couldn’t be more perfect” location, the luminescent cinematography, AND the MAKEUP. Maggie’s magic is in all of the above, and yet you’re reminded constantly throughout the film, that an improper casting could sink this ship before it gets a chance to swim. Thankfully, that’s not an issue here. As I’ve stated before, there can be no doubt this is Schwarzenegger’s finest performance, but why or even more pressing, HOW? Maggie is the story of a Father’s limitless love for his daughter and the bond that they carry as reflected in everything they have endured together. It is ALSO a brilliant and extremely thought-provoking film about END OF LIFE. I know what you’re thinking. But ‘wait, isn’t this a film about zombies?!? !’ It is absolutely essential and adamant that you understand that this film’s message, its moments, its premise, its aim, ultimately, is to get people talking about the END OF LIFE. Well in America at least, there are thousands upon thousands of discussions nearly every day held between family, doctors, nurses and other caregivers about a patient’s ability to make their own choices about how they want their life to end. There is a form several pages long called an Advanced Directive or Durable Medical POA which families sit through and often agonise over because no one wants to be the one to ‘pull the plug’ on a beloved family member. This form has created many a riff, many a chasm in households for a very long time. Caregivers will often tell you that if your loved one could speak for themselves, they would not want to be hooked up to any life support for in some cases ANY length of time and you need to respect their wishes. This form is a way of ensuring what those wishes are, and how they are to be carried out. One of the key concepts in Maggie is that we entrust our family members to make the right decisions about caring for us, even when we can’t care for or speak for ourselves. And just how difficult if they are indeed capable of making such decisions, is it for those decisions to be carried out. And Maggie literally slaps one in the face with just his difficult times like these can be for ALL of those around us, not just our immediate family. Now, to touch upon the castings for Wade (Schwarzenegger) and Maugerite (Breslin). This film absolutely requires kinetic energy and synergy in chemistry in order to work. You absolutely MUST believe that Wade and Maggie are indeed a loving Father and his angst-ridden yet rudderless (understandable under the circumstances) teenage daughter. It’s extremely uncanny how masterfully this relationship is portrayed. These two sell it so gut-wrenchingly well that you often find yourself attempting to counter their brilliance with, I know they aren’t Father and beloved daughter in real life but…. You are fed the angst, the sadness, the anger, and the inevitability so effortlessly that you are on keel with these characters from title sequence to wrap/credits. You feel what they feel, you see what they see. Their pain rips through you like an asteroid colliding with Earth. It’s indelible mark upon your spirit forever. Another thing I have to pointe out (because I haven’t been able to think about little else since first screening this film), is the fact that the screenwriters clearly researched not only how a virus such as the necroambulist virus would wreak havoc on the human body, but they also paid keen attention to the fact that in the late 90s to early 2000s, disease protocol and medical advancements in this country would NOT have been able to stop such a virus. There’s no computer tracking, they’re actually using rotary telephones to communicate (electricity seems to be minimally available), and there’s no acknowledgement of the scope of the virus and no way of knowing just how many people were infected and who patient ONE would be. The symptoms that are shown in Maggie and others (like Trent), are almost EXACTLY how such a virus would affect the human body. I must admit I’m a wee bit awestruck by that attention to detail. From the pale skin to the necrotizing of the skin and limbs, to the decay of one’s eyesight or the infected wheezing heavily because the body is destroying its own tissue (in this case the LUNGS). They even correctly show that the blood of an infected person would be darker than the non-infected person because the red blood cells are also necrotizing, causing the blood to become DE-oxygenated. The devil is indeed in the details here and they have done their research and that in itself gives this phenomenal film just one of its 5 stars. I got more than a few chills screening it! Bravo! Another wonderful but unfortunately short-lived gem in this masterpiece is the connection between both the infected Trent (Bryce Romero) and Maggie. As far as is known, Trent is the only other infected person in the film who still has a functioning brain and is in control of his own body. The younger the infected is, the faster the metabolism, and the faster the virus consumes the human body. So it was a welcome sight to see another infected that Maggie could not only relate to as his friend, but also see the anguish and inevitability that a parent or significant other must deal with watching the one they love fade away. We are given a sense of the love and compassion that having such a caring but firm Father that Maggie has in Wade, and why the grey areas of life are such minefields. Trent helps to show that the humanity in the infected is still there, and if one is strong willed enough, that there needn’t be surrender. Fighting until you’re no longer you is indeed possible, even if the others looking at you don’t understand that this is what you’re trying to do. Again, another end of life concept that this truly endearing, soul-stirring film does a brilliant job of making the centre of discussion. There is such a humanity that is reflected in Wade’s eyes that catches you off guard quite frequently, again causing one to question if that is indeed Arnold Schwarzenegger on-screen. He does such a marvelous job of conveying every emotion, every whim, every dire moment of desperation. Every other character that he interacts with seems to reflect back his energy all the while feeding off of it like a vampire. The scenes he’s not even in still carry his essence from scene to scene, act to act. It’s almost as if his soul is present on constant watch standing sentry, while his body has left in aura-like footprint. This film is about family, it’s about the shades of grey, it’s about community and how easy it is for others to turn against each other in desperation. It’s ultimately one of the best in-direct discussions about End Of Life that I’ve ever seen on-screen. One could say that may not have been the film’s ultimate aim, but I don’t believe so. The sharp thought pointes that you are stuck with from beginning to end simply must mean so much more than one initially feels. They have to, in order to appeal to a viewer’s sense of humanity and survival in utter chaos and sheer terror. If this film has an Achilles heel, it’s Caroline (Joely Richardson). And no, it’s not an issue at the actor level. Not at all. You expect Caroline to be the vacillating source of dissension from the beginning. You see the level of commitment to what must be done, fading in her steps from onset. To be fair, she has a lot to lose. There are times when you feel like she’s been shoehorned into a moment, which would normally be a welcoming sight but they fall flat. She’s written with quite a few uncharacteristic moments that certainly don’t support the unified narrative you’re feed from scene one. When she’s in scenes with Wade, he carries such a big stick that she nearly fades completely into the background; she doesn’t hold her own. She’s written to be weaker, unsupportive, etc. I understand exactly WHY this was done, but you almost wish her moment of clarity and recognition, had happened sooner so that you can see not only dissension in the ranks, but genuine tension. Does it detract from the film? In my opinion, NO. But it doesn’t add value to it and I really believe it needed to in order to tell the story in the best light and path possible. So many expertly placed pieces ultimately create such a beautifully constructed puzzle. Rarely do we get to see such a film. And it reminds me so very much that we need to see more of them! More films that leave their mark upon us in such a way that we won’t soon forget. More films that are worthy of such discussions and potentially a few arguments. More intelligent, thought-provoking, soul-stirring, mind-blowing, small pebble making huge waves types of films. They stay with us because they are meant to. They reside within us, their marks forever seared into our skin, forever etched into our hearts. As human beings, we are indeed capable of great things. 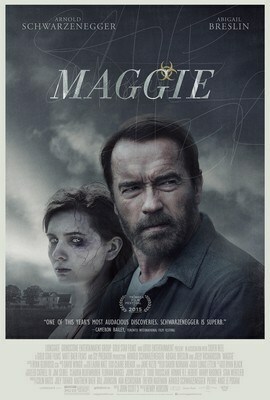 If we chose to accept that and go forward in that path, a film like Maggie is simply the tip of the phenomenal iceberg. An absolute #MUSTSEE. A true 5-Star film. Joyll Cambridge hails from Manchester, United Kingdom and currently lives in New York, New York. She loves all things movies, fitness and swirling. 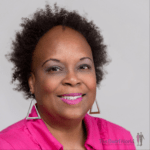 To read Joyll’s personal blog at The Humanist Exec, click here. Joyll is our Resident Movie Reviewer. Look for more movie reviews from Joyll! Be sure to “Like” The Swirl World on Facebook and subscribe to the podcast on iTunes. You can also follow us on Sound Cloud and listen to the show on Stitcher Radio. You can also hear us on PlayerFM! Copyright ©2015 Michelle Matthews Calloway, ASwirlGirl™, The Swirl World™, The Swirl World Podcast™, The Swirl World Inspiration Daily™, Swirl Nation™, All rights reserved. 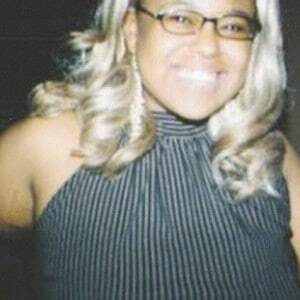 Photo of Joyll Cambridge used with permission. Movie poster from the movie “Maggie” obtained from “Maggie (film) POSTER” by Source. Licensed under Fair use via Wikipedia – http://en.wikipedia.org/wiki/File:Maggie_(film)_POSTER.jpg#/media/File:Maggie_(film)_POSTER.jpg. All rights reserved.